At Alert First-Aid we not only believe it our job to teach you the information below but ensure you feel confident and empowered when dealing with injuries. We do this with our hands on learning approach, running first-aid scenarios that are relevant for you. 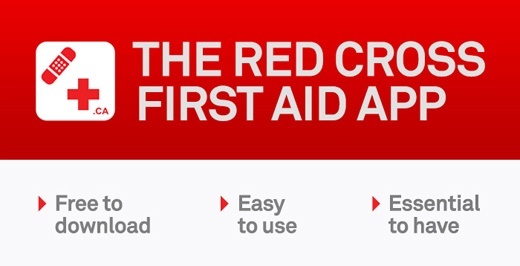 Encouraging you to use real first-aid supplies and to ask questions and practice in a safe and fun environment. This hands-on interactive 2 day Marine Basic First-Aid and CPR training course includes adult CPR, child CPR, infant CPR, two person CPR (Level C). Students will learn how to clear an airway on a conscious choking person. Recognition and first aid for shock, spinal injuries, heart attack, angina, stroke, bleeding, broken bones, seizures, heat related illness, hypothermia, allergic reactions, poisons and burns. Students will learn and be certified on how to use an Automated External Defibrillator (AED). Other topics include how to use a first-aid kit and what goes into a first-aid kit, dealing with small wounds, recognition and prevention of infection, how to use a CPR mask and how to protect yourself at the scene of an accident, what to do at an accident if you do not have gloves and a CPR mask, how to assess the history of an accident, when to and how to call 911 or just go to the hospital. Participants spend the majority of the course doing hands on first-aid, and participating in first-aid scenarios. This course meets Transport Canada Training Program Standards in Marine First-Aid (TP 13008E). This Canadian Red Cross First-Aid and CPR certification is valid for 3 years. When applicable, first-aid course price includes GST. "I have taken/taught many basic first aid courses; this was one of the most effective in terms of entertainment, good discussion, knowledge and practical education. Mike is an excellent instructor - thank you. Fully recommend." "This was easily the best first aid course that I have ever taken. The practical experience will certainly be easy to remember. Gary is a stellar instructor and has a true gift in teaching and dealing with people."